IPO NEWS : GUJARAT PIPAVAV, FULLY SUBSCRIBED. The IPO which closed for QIBs today, has been subscribed by more than 7 times. For retail investors, tomorrow is the last day for subscription. FIRST CHOICE RECOMMENDS FOR SUBSCRIPTION TO THE ISSUE. Labels: gujarat pipavav fully subscribed. IPO LISTING : PRAKASH STEELAGE - STRONG CLOSING AT RS 185/- AGAINST THE ISSUE PRICE OF RS110. IPO LISTING : PRAKASH STEELAGE LIMITED. LISTS AT 11% PREMIUM. Similarly, another IPO - BAJAJ CORP, which got listed recently was up by 20% on the listing day. First choice had strongly recommended for subscription to the issue. FIRST CHOICE HAS HIT THE BULLS EYE AGAIN. The IPO which closes for QIBs tomorrow and for retail investors on 26-08-10, has received good retail response on the second day. As against 3.85cr shares reserved for retail investors, the company has received bids for 1.23cr (32%) shares in this segment. Normally, retail investors wait till the last day and after taking cue from QIBs, (bids closes one day earlier for QIBs), they submit their bids. Taking this and size of the issue into consideration, the IPO has received good retail response so far. GPPL ROPES IN 20 ANCHOR INVESTORS. The IPO of GPPL which opens today, has roped in twenty anchor investors and garnered Rs 92cr. The company is allocating 2.04cr shares at Rs 45 per share for anchor investors. Among those who have invested as anchor investors are Government of Singapore,DSP Blackrock, HDFC MF, Goldman Sachs,JM Financials and Axis MF. FIRSTCHOICE RECOMMENDS FOR SUBSCRIPTION TO THE ISSUE. IPO ANALYSIS : GUJARAT PIPAVAV PORT LIMITED - SAFE PASSAGE ENSURED. INVEST. India‘s first private sector port is entering the capital market. APM Terminals, one of the world’s leading terminal and port operators, are the promoters of Gujarat Pipavav Port Limited (GPPL). GPPL is principally engaged in providing port handling and marine services for container cargo, bulk cargo and LPG cargo. Prepayment of loan (Rs300cr), investment in capital expenditure & equipments (Rs88cr) and general corporate purposes (Rs31cr). A strong promoter group - APM Terminals, which brings to the company technological expertise, best practices in port operations, and a strong and experienced management, backs GPPL. APM Terminals Pipavav enjoys favourable oceanographic conditions, well-developed infrastructural facilities, good rail, and road connectivity to the hinterland. GPPL is strategically located in terms of proximity to the landlocked north and northwestern regions, which account for 65%of the container cargo traffic in India. The container cargo market size of north and northwestern India is expected to grow at a CAGR of 11-12% over the next three to four years. Expect Mundra port, there are no other ports on the western side to handle incremental traffic. APM Terminals Pipavav is positioned well to attract this incremental traffic. The port is located at an approximate distance of 150 nautical miles from the ports located in and around Mumbai. Hence, ships calling to Mumbai could sail to APM Terminals Pipavav if Mumbai port is congested. APM Terminals Pipavav is strategically located near the entrance of the Gulf of Khambhat ,on the main maritime trade routes, which helps us to serve imports from and exports to the Middle East, Asia, Africa, the United States, Europe and other international destinations. The Company has not earned profit since its inception in 1992. For the year ended Dec- 09, the total revenue earned was Rs 224.49cr and net loss of Rs 117.57cr. In the first quarter of current year (as on 31-03-10), the figures were Rs 56.77cr and Rs (-) 27.76cr respectively. The accumulated loss is around Rs 807.89cr. However, the net worth of the company is still in positive with Rs 280.10cr. The port is strategically located. Benefit from the relationship with the promoter, leading port operator in the world. Ability to handle diverse cargo portfolio. GPPL was unable to meet the Minimum Guaranteed Quantity and was subjected to non-fulfillment liability. The company faces risks relating to reliance on concessions and licenses from government and quasi-governmental organisations. GPPL may be adversely affected by increases and/or changes in royalties and fees payable. As per CRISIL, the total traffic of coal at Indian ports is expected to grow at a CAGR of 7.2% from 91.9 mn tonnes in 2008-09 to 130 mn tonnes by 2013-14. Coal, with a share of 44% of the bulk cargo as of September 2009, is the major bulk cargo commodity handled at the APM Terminals Pipavav. Six power plants are being commissioned close to APM Terminals Pipavav and 11,164 MW of power generation capacity will be added in the state by 2012. This will translate into a coal requirement of around 45 mtpa. The increase in demand for coal will help boost the coal traffic at APM Terminals Pipavav. APM Terminals, one of the most respected and professionally run container terminal operators in the world, operates Pipavav port. High standards and operational efficiency are the hallmark of the APM Terminals ports worldwide. Gujarat Pipavav has excellent cargo handling facility, critical connectivity, strategically located. Mr. Prakash Tulsiani, who has held several management positions in the A.P. Moller - Maersk Group, prior to joining the company, heads GPPL’s management. 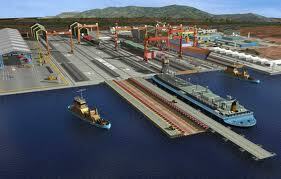 The company has invested over Rs 2,000 cr for the development of port in the past. It has a right to develop 1,561-acres of land at the port, of which around 485-acres has been developed. The growth story has just begun. The issue is attractively priced at Rs 42-48. APPLY, for both short term and long term gains. Among others, a listed company's traditional obligation is to create value for its shareholders, while the mission of microfinance — loans typically under Rs10,000/- for starting businesses, that banks won't make - is to lift people out of poverty. These are irreconcilable objectives. At whose cost, these companies are trying to create value for its shareholders. The poor, the oppressed and the downtrodden. After the euphoria of IPO is over, only the promoters, Venture Capitalists, PE Investors and others who had invested in the company, prior to the company going public, at a price, much lower than what is offered to the public, will reach rich benefits. Both IPO investors and the poor borrowers have to fend for themselves. In the last few days, some interesting development has taken place in the Financial sector, particularly concerning the micro finance segment. Firstly, RBI,in its review meeting with the chiefs of PSU banks has raised concern over bank lending to MFIs which are into profiteering. The MFIs borrow from banks around 15%p.a., which is categorized as priority sector lending and lends at usurious rate in the rural areas. Secondly, on the instructions from the finance ministry, the PSU banks have submitted a comprehensive plan for financial inclusion, including aggressive branch expansion in un banked rural areas. On 11-08-10, the RBI released the discussion papers on new bank licensing norms. Among others, it stipulates that the new bank have to open 50% of their branches in rural un banked areas. These measures are going to have far reaching consequences on the set-up and functioning of micro finance institutions and their long term sustainability. The issue is likely to be priced around Rs 200/- At this price, the Company demands a valuation of 13x on its estimated EPS of FY 11. INVEST. CIL’s vision is to emerge from the position of domestic leader to leading global player in the energy sector by adopting best practices from mine to market with due care to environmental and social sustenance. Bhilwara energy is planning an IPO for part financing the expansion programme. This isuue could be around Rs 1000cr. Similarly, Future Ventures will be filing the papers with SEBI for the IPO. LENDING TO MICRO FINANCE INSTITUTIONS - REGULATOR STEPS IN. The regulator has stepped in. RBI, in its recent review meeting with the Chiefs of Banks has raised concern over lending to for-profit MFIs. The analysis of SKS Micro IPO by FIRSTCHOICE has again proved correct. In the first week of July 2010 itself FIRSTCHOICE had indicated that the regulators would step in and take actions against profiteering MFIs. animal feeds, specialty ingredients and development of hybrid seeds. The IPO, which will close on 05-08-10, has been fully subscribed, as per SEBI website. IPO ANALYSIS: PRAKASH STEELAGE LIMITED – WILL SHINE – INVEST. The Gujarat based stainless steel pipes and tube manufacturer is entering the capital market on 05-08-10, with public issue of 62,50,000 equity shares of Rs 10 FV in the price band of Rs 100-110. The company plans to raise around Rs 70 cr through the issue. Keynote Corporate Services Limited are the sole BRLM. The IPO will close on 10-08-10. Prakash C Kanugo and Ashok M Seth, first generation enterprenners, promote the company. Prakash Steelage Limited (PSL) is a flagship company of Prakash Group. The company incorporated in 1991 is engaged in the manufacturing of seamless & welded stainless steel Pipes, Tubes and U-tubes. The company has state of the art production units situated at Silvasa and Umbergaon (Gujarat) with total installed production capacity of 12200 MTPA. The company is also a government recognized export house, exporting to more than 40 countries. The company caters to diverse set of industries, including oil and gas, power, pharmaceuticals, petrochemicals, automobiles, sugar and dairy. The company’s top clients include, among others, BGR Energy Systems, BHEL and KBK chemicals. Expansion of existing manufacturing facility at Umbergaon, Gujarat. Meet the additional working capital requirement. 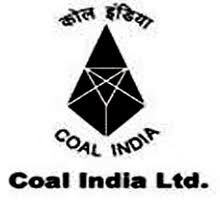 The company achieved a turnover of Rs 440 cr and net profit after tax of Rs 17.50 cr for the year ended March 31, 2010. The figures for the FY 09 were Rs 322.47cr and Rs 7.49cr respectively. · The company experienced a negative Operating Cash Flow from activities in the Financial Year 2008-09, 2007-08, 2006-07 and 2005-06. Based on the capacity expansion from12, 200 tonnes to 19,000 tonnes, the company is likely to achieve a CAGR around 30% for FY 11. The company specializes in meeting specific requirements of customers and offers complete solution for stainless steel welded & seamless pipes and tubes, for which there is growing demand. On the post issue capital of Rs 17.50cr, the company is likely to post an EPS of Rs 15/. At Rs 100-110, the issue is attractively priced. Compares favorably with other established and listed entities like Zenith Birla and Ratnamani metals and tubes. APPLY. Business of beauty and healthcare treatments, health and fitness resorts. IPO ANALYSIS: BAJAJ CORP LIMITED - MARKET LEADER, TRUST WORTHY- INVEST. The Shishir Bajaj group company is entering the capital market on 02-08-10 with public issue of 45,00,000 equity shares of Rs 5/- each in the price band of Rs 630-690. The issue will close on 05-08-10. Kotak Mahindra Capital Company Limited are the sole BRLM. The company is diluting 15.3% of the equity. 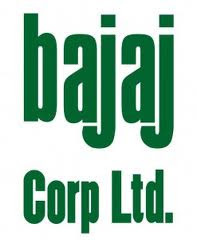 The ‘Bajaj’ brand has more than five decades of history and has been associated with product categories like two-wheelers, FMCG, financial services and other consumer products. It enjoys a strong brand recall both in the rural and urban markets. The demerger of the Bajaj Group continues to allow all the involved parties to use the ‘Bajaj’ brand. Bajaj Corp primarily operates in only one business line - hair oils. Oral care forms a very small part of the overall business. The oldest brand is Bajaj Brahmi Amla, in existence since 1953. The other brands include Bajaj Amla Shikakai, Bajaj Jasmine Hair Oil and Bajaj Kala Dant Manjan. Bajaj Corp is the third largest producer of hair oils and the largest producer of light hair oils. Bajaj Corp derives majority of its revenues from a single product, Bajaj Almond Drops. It is value-added light hair oil and commands a premium. Bajaj Almond Drops is the market leader in the light hair oil segment with a 50% market share. The company intends to utilize the funds for product promotion, acquisition and for general corporate purposes. In 9MFY10, the company’s net revenues were Rs 2.08.cr and PAT margin was at 27.2%. Bajaj Corp manufactures and markets five major brands. The flagship brand, Bajaj Almond Drops, is the market leader in the light hair oil segment with 50% market share. Other product includes Bajaj Brahmi Amla, Bajaj Amla Shikakai and Bajaj Jasmine Hair Oil and oral care products under the brand name Bajaj Kala Dant Manjan. • Market leader in light hair oil segment with 50% market share. • Strong brand equity - known for reliability, quality and competitive price. • Established distribution net work. • Experienced, efficient and professional management. • IPO grade - 4 by CRISIL. • Manufacturing facilities are located at tax-free zone. • The company depends heavily on ‘Almond Drops’. Almond Drops hair oil contributed 92.0% and 92.7% of the total sales and gross profit, respectively, for the nine month period ended Dec -09. • The company operates in a highly competitive FMCG market.